Here at Fitzsimons Consulting we are dedicated to making a difference through our focus on the areas of entrepreneurship and growth. Equally at home with entrepreneurs, policy makers, development agencies, and academics, Paula Fitzsimons and her team provide a bridge connecting all four through consultancy assignments, Global Entrepreneurship Monitor (GEM) research, and the development and management of highly innovative initiatives such as Going for Growth, ACORNS, Back for Business and Senior Enterprise, which have been recognised for their excellence. 48 early-stage female entrepreneurs successfully completed the fourth cycle of ACORNS at a residential forum in Mullingar. To date almost 200 female entrepreneurs have been supported by this initiative, which is supported by the Department of Agriculture, Food and the Marine. 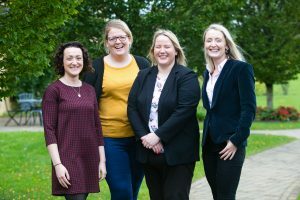 ACORNS 4 participants: L to R Jennifer Doyle, Milbee; Joan Mahon, Elevate HR & Coaching; Leona Monaghan, 2live Psycotherapy; Claire Guinan, Claire Guinan Art. On successful completion of a cycle of ACORNS, participants can stay connected by joining the ACORNS Community and take part in a series of events throughout the year, including topic based workshops and the Community Forum.The ACORNS Community gathered in Mullingar on the 8th April where participants had the opportunity to showcase their unique products and services. 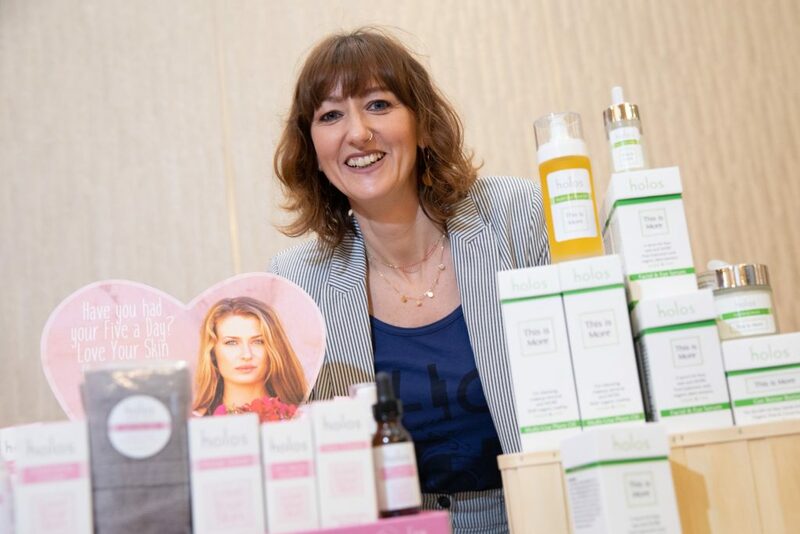 Nimah Hogan, Holos, showcases her range of plant-based aromatherapy skincare, handmade in Ireland. 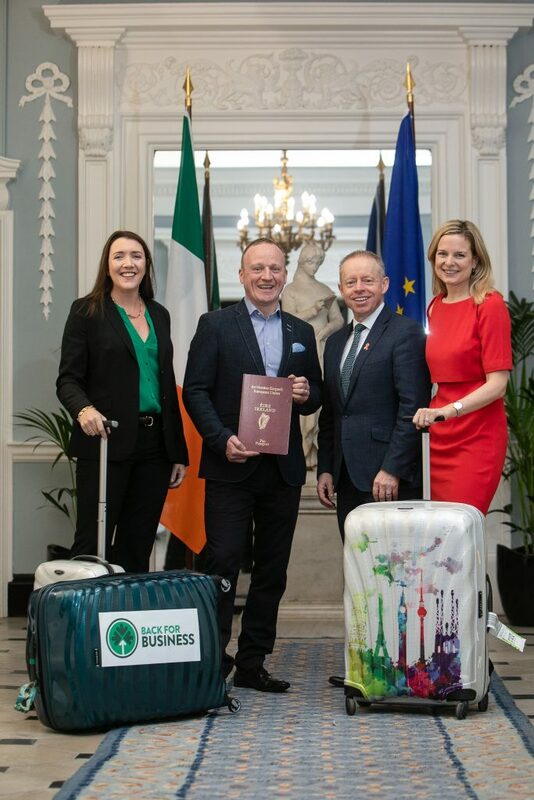 Following a successful Pilot programme, Ciarán Cannon, TD, Minister of State for the Diaspora & International Development officially launched Back for Business 2 in Iveagh House. 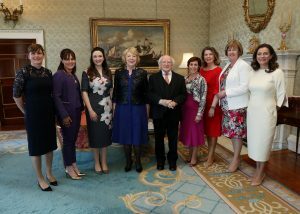 Forty-six returned or returning emigrants will take part in the six month part-time development programme aimed at assisting them to start and develop a business. 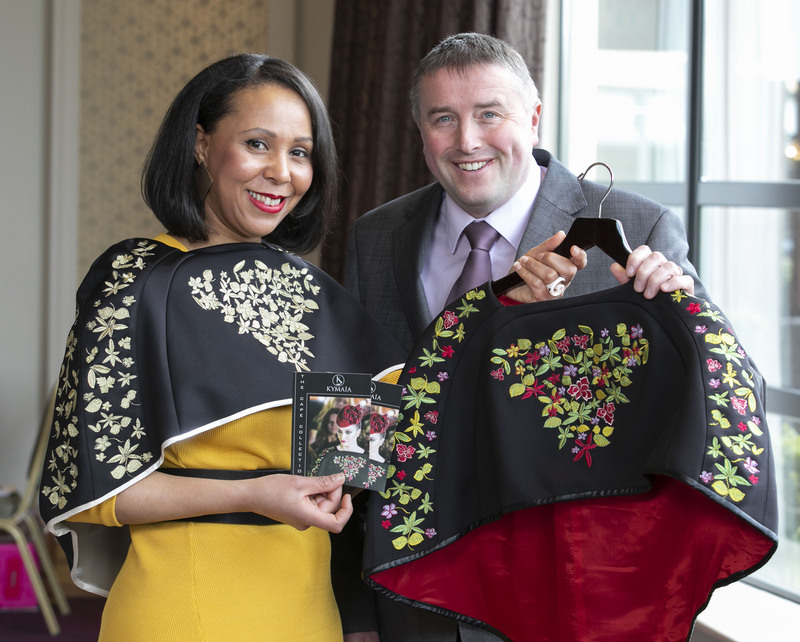 This innovative initiative is funded through the Emigrant Support Programme by the Department of Foreign Affairs and Trade which seeks to facilitate in practical ways those who left Ireland and want to return home. Going for Growth, the award-winning programme for ambitious female entrepreneurs, goes from strength to strength. 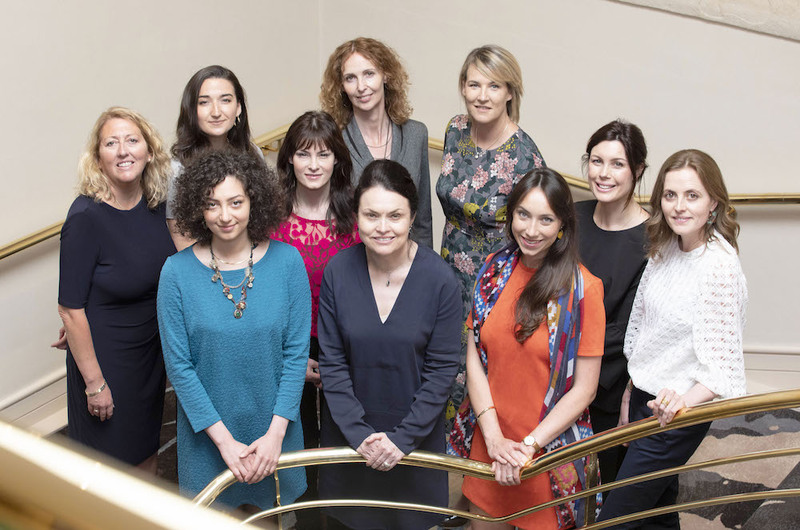 Sixty six female entrepreneurs have been selected for the 11th cycle of Going for Growth, which was launch on 14 January 2019. Between them these entrepreneurs already have annual sales of €40 million. Over half of them are already exporters. They currently employ over 500 people and have very ambitious plans for their future growth. Going for Growth is designed to support them to achieve their very significant growth ambitions, helping create new jobs and grow their sales. The programme is sponsored by Enterprise Ireland and KPMG. 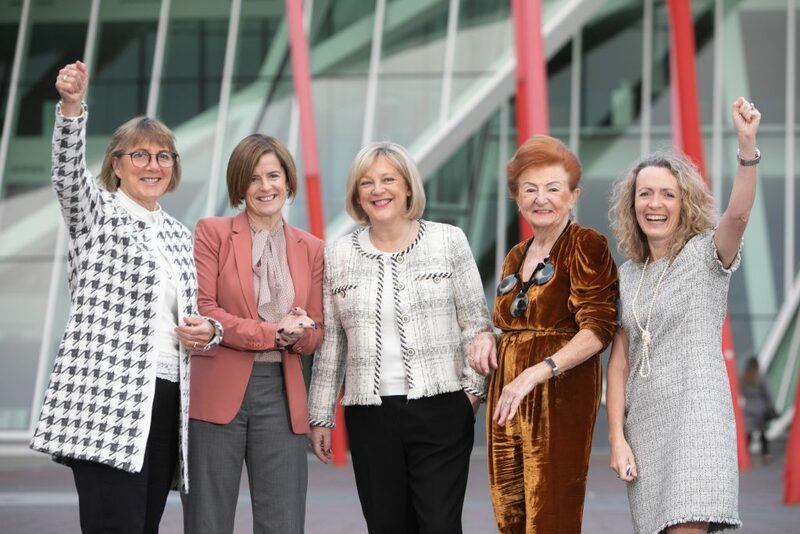 Pictured left to right is Julie Sinnamon, Enterprise Ireland; Adrienne Gormley, Dropbox (Lead Entrepreneur); Susan Spence, SoftCo (Lead Entrepreneur); Breege O’Donoghue (Lead Entrepreneur) and Olivia Lynch, KPMG. 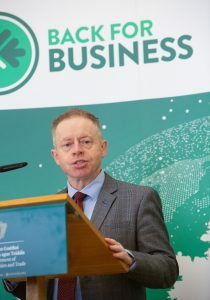 On Monday 17 December, Ciarán Cannon, TD, Minister of State for the Diaspora & International Development launched the call for applicants for the latest cycle of Back for Business. Back for Business is an initiative to foster and support entrepreneurial activity among returned emigrants or those planning to return to live in Ireland in the near future. Picture left to right are Áine Denn, Alftify (Lead Entrepreneur); Thomas Ennis, Thomas Ennis Group (Lead Entrepreneur); Ciarán Cannon, TD, Minister of State for the Diaspora & International Development; Julie Currid, Initiafy (Lead Entrepreneur). 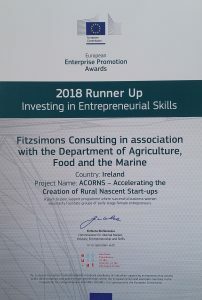 ACORNS was selected to represent Ireland in the European Enterprise Promotion Awards 2018, Investing in Entrepreneurial Skills and has been awarded runner up in this category. ACORNS also featured prominently in the Manifesto for an innovative Europe which was developed by the participants of the 2018 SME Assembly, which can be viewed here. The call for applications for the latest cycle of Going for Growth opened on 30 October 2018. This is the 11th cycle of the award-winning programme for ambitious female entrepreneurs who want to grow their business. Over 600 female entrepreneurs from across the country have taken part in the initiative to date. Going for Growth is sponsored by Enterprise Ireland and KPMG. 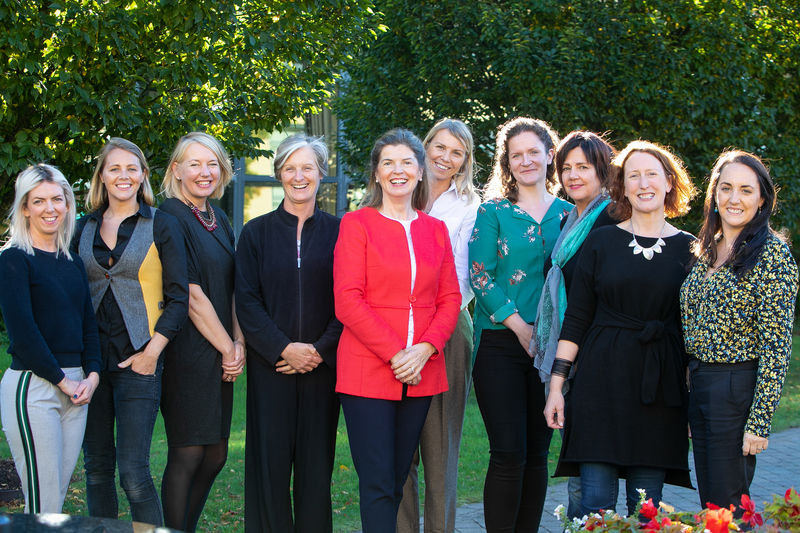 The fourth cycle of the ACORNS Programme for early stage female entrepreneurs living in rural Ireland got underway at a residential forum held in Mullingar on 15-16 October 2018, where the programme participants met with their Lead Entrepreneurs in round table sessions. 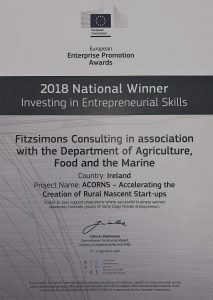 ACORNS is funded by the Department of Agriculture, Food and the Marine through the Rural Development and Innovation Fund. Lead Entrepreneur Mary B Walsh of Ire-Wel Pallets is pictured with her ACORNS round table group. The annual Community Forum took place on 24-25 September 2018. On successful completion of a cycle of Going for Growth, participants can stay connected by joining the Going for Growth Community and take part in a series of events throughout the year, including topic based workshops and the Community Forum. Pictured is Marissa Carter,Cocoa Brown, Fiona O’Carroll and Fidelma McGuirk, Payslip. This year we had the privilege of welcoming Katie Mullan, Captain of the Irish ladies hockey team to the Community Forum. Katie was interviewed by her team sponsor Susan Spence, SoftCo, Lead Entrepreneur. Katie gave insights into how to build a winning team which outperformed all expectations, while Susan drew analogies from sport to business. 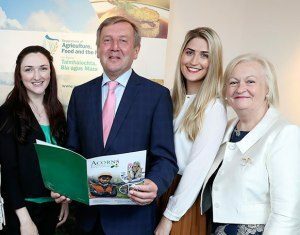 On Monday 27 August 2018 Michael Creed, TD, Minister for Agriculture, Food and the Marine launched the call for applicants for the latest cycle of ACORNS. To date, over 150 participants have taken part in this highly successful female entrepreneurship development initiative. Funded under the Department’s Rural Innovation and Development Fund, ACORNS is focused on developing the potential of female entrepreneurs living in rural Ireland, who wish to start and develop new businesses or have recently started a business. Pictured with Minister for Agriculture, Food and the Marine, Michael Creed, TD, are (left/right) Joanne Browne, Jo Browne (previous Acorns participant), Lisa Larkin, Durrow Mills (previous Acorns participant), Paula Fitzsimons, Director ACORNS, Norma Dineen,Bó Rua Farm Cheese (previous Acorns participant), and Cori Calvert, GES Energy (previous Acorns participant). The Global Entrepreneurship Monitor (GEM) Report for Ireland 2017 has been launched. 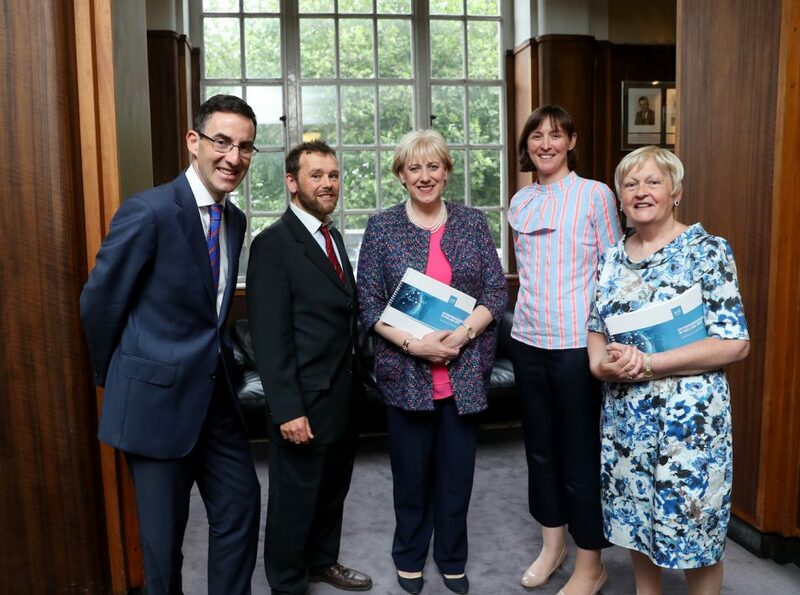 Enterprise Ireland, supported by the Department of Jobs, Enterprise and Innovation, sponsored the publication, which was authored by Paula Fitzsimons of Fitzsimons Consulting and Dr Colm O’Gorman Professor of Entrepreneurship, DCU Business School. The end of the 10th cycle of Going for Growth took place on Tuesday 19 June. KPMG, one of the sponsors of the programme, along with Enterprise Ireland, hosted the event at their premises. Left to Right: Aisling Callaghan, Wilson Security; Joanne Rochford, Invoke Brand & Events; Louise Lonergan, Lonergan Corporate Gifts; Louella Morton, TestReach; Louise Phelan (Lead Entrepreneur); Anna Grant, Flowers Made Easy; Sinead Gallagher, Renew Aesthetic Clinic; Denise Howard, DCM Learning; Kathryn Thomas, Pure Results Bootcamp. The successful completion of the third cycle of Starting Strong was marked in June. Starting Strong is the most recent in the suite of complementary initiatives under the Going for Growth umbrella, supporting female entrepreneurs in successfully growing a business. Back Left to Right: Sam Synott, Buddy Bench; Naomi Murphy, Connect The Dots; Alison Cummins, The Hog House; Vanessa Liston, CiviQ; Hannah Wrixon, Get the Shifts; Erica Sheehan, Homespun; Nicola Connelly, Nunaia. 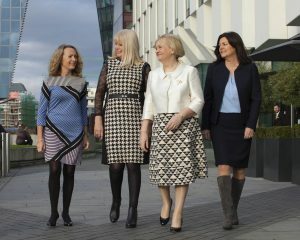 Front Left to Right: Dimi Kfouri, Outfitable; Fiona O’Carroll, Lead Entrepreneur; Una Donohoe, Savage Food Co. 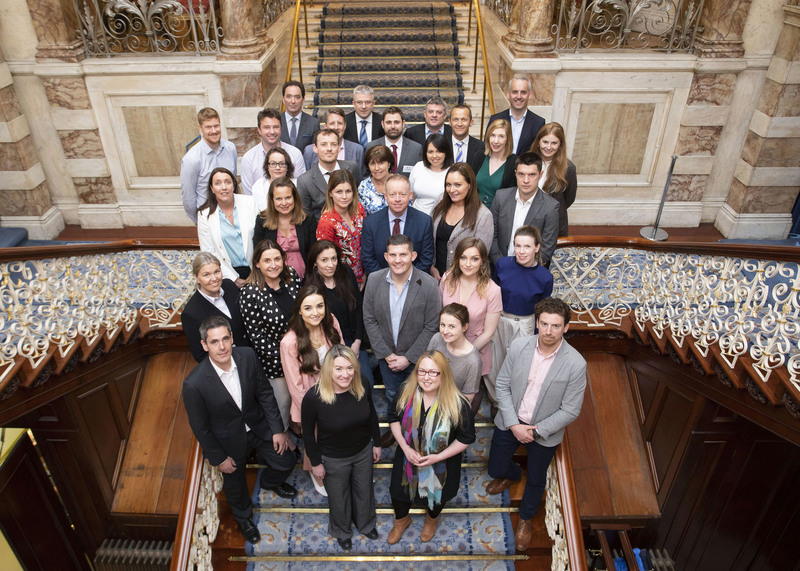 The Pilot Back for Business Programme concluded with a celebratory event at the Department of Foreign Affairs and Trade in Iveagh House. The event was hosted by Ciarán Cannon TD, Minister for the Diaspora and International Affairs and each of the participants was presented with a certificate of completion. Ciarán Cannon TD, Minister for the Diaspora and International Affairs is pictured with some of the participants and Lead Entrepreneurs from the Pilot Back for Business Programme. On Friday 4 May 2018 the ACORNS Lead Entrepreneurs met with the President Michael D Higgins and his wife Sabina at an event in Áras an Uachtaráin to celebrate female entrepreneurship. Now in its third year, to date over 150 of these rural based female entrepreneurs have been supported by ACORNS. The successful completion of the third cycle was celebrated at a residential event in Mullingar on 17 April 2018. 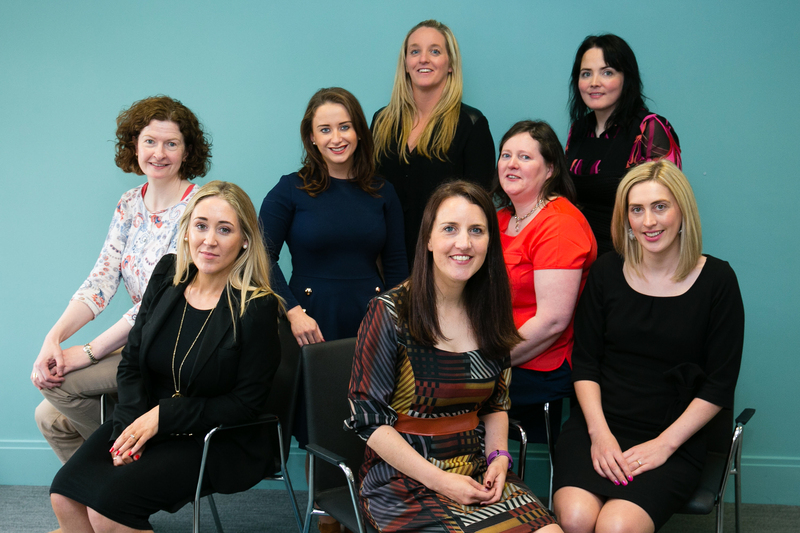 Left to right: Elizabeth Gavin, Eur Digital Village; Bernadette Barrett, Léanas Gift in a Box; Cori Calvert, GlasÉireann Solutions; Caroline McEnery, Lead Entrepreneur; Claire Kelly, The Busy Botanist; Siobhan Stack, Ulluv; Anne Marie Lehane. This year’s ACORNS National Forum was also the occasion of the inaugural ACORNS Showcase, which featured a colourful and inspiring display of the participants’ wide range of products and services. Left to right: Former participant Kabira Allain, Kymaïa and Colm McKiernan, Department of Agriculture, Food and the Marine. On Monday 15 January 2018 Heather Humphreys, TD, Minister for Business, Enterprise and Innovation launched the 10th cycle of Going for Growth. 68 female entrepreneurs have been selected for the cycle. Between them these entrepreneurs already have sales in excess of €67 million and employ over 850 people. Going for Growth is designed to support them to achieve their very significant growth ambitions, helping create new jobs and grow their sales. Going for Growth is sponsored by Enterprise Ireland and KPMG. 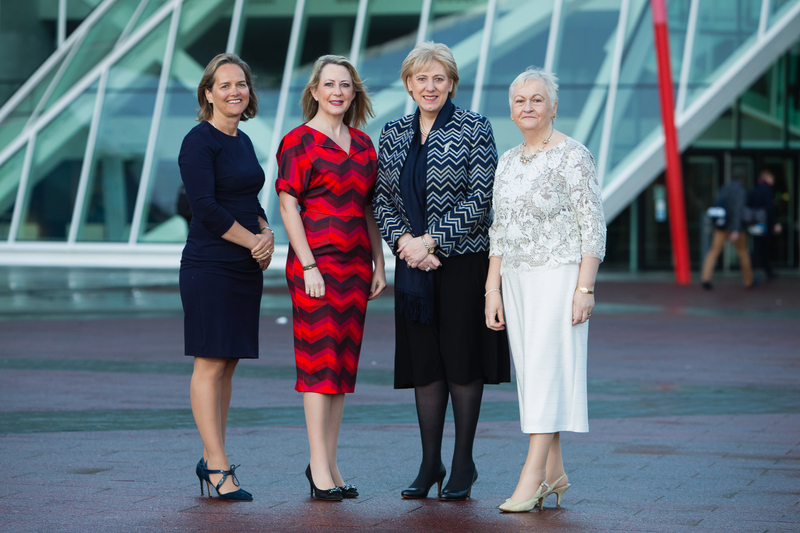 Left to right: Darina Barrett, KPMG (Going for Growth sponsor); Sarita Johnston, Enterprise Ireland (Going for Growth sponsor); Heather Humphreys, TD, Minister for Business, Enterprise and Innovation; Paula Fitzsimons, Director, Going for Growth. Smiles all around in 2017 – Going for Growth, the award-winning programme for ambitious female entrepreneurs, goes from strength to strength as it marks its 10th birthday. Over 550 female entrepreneurs have participated in the initiative to date. Going for Growth is sponsored by Enterprise Ireland and KPMG. returning or recently returned to live in Ireland, got underway on 27 November 2017. The programme was developed and implemented by Fitzsimons Consulting and is fully funded by the Department of Foreign Affairs and Trade. Left to right: James Murphy, Lifes2good (Lead Entrepreneur); Ciarán Cannon TD, Minister for the Diaspora and International Affairs; Áine Denn, Altify (Lead Entrepreneur). The third cycle of the ACORNS Programme for early stage female entrepreneurs living in rural Ireland got underway at a residential forum held in Mullingar on 23-24 October 2017. Participants heard the inspirational stories of previous ACORNS participants and met with their Lead Entrepreneurs in round table sessions. Left to right: Programme participants Linda Byrne, Linda Byrne Illustration; Dora-May Cousins, Dora-May’s Café; Tara Lane, Centrepiece Rosettes; Leah Purcell, Able Bodies Physiotherapy & Health. The annual Community Forum took place on 26-27 September 2017. On successful completion of a cycle, participants can stay connected by joining the Going for Growth Community and take part in a series of events throughout the year, including the Community Forum. 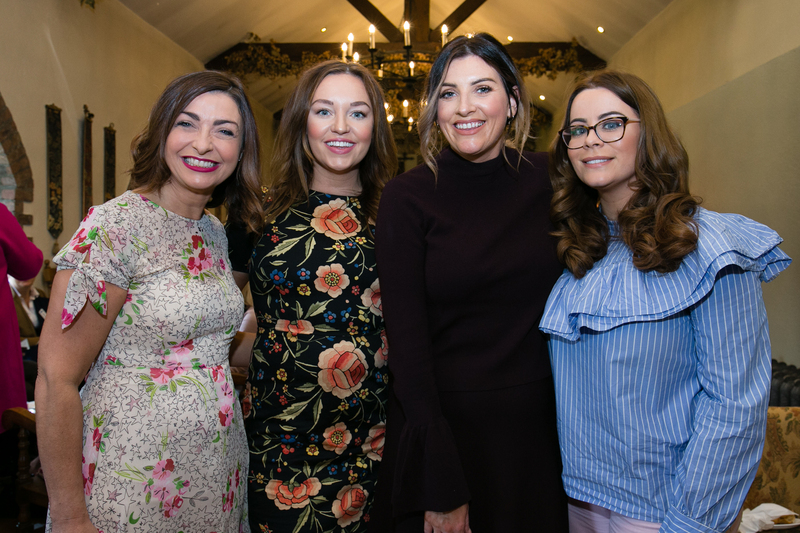 Left to right: Lead entrepreneur Oonagh O’Hagan with former participants Ellen Kavanagh, Waxperts Wax; Katrina Kelly, K2 Hair and Jennifer Rock, The Skin Nerd. The end of the 9th cycle of Going for Growth was marked with a celebratory event on Thursday 15 June 2017 at the offices of KPMG, one of the sponsors of the programme, along with Enterprise Ireland. The participants reported an increase in their combined sales of over €20million over the six months of the cycle, bringing their total sales to over €136million. Between them they employed an additional 187 people full time, bringing their combined total to 1,250 people, an increase of 17.5% over the six month cycle. 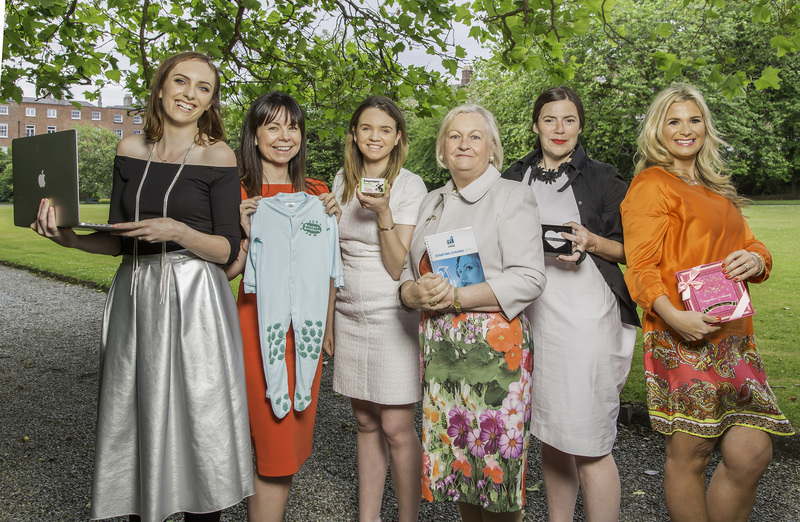 Back Left to right: Siobhan Rogers, Costigan’s Pharmacy; Margaret Robb, Sweet Little Babies; Kate Dillon, The Wooden Spoon; Breda O’Sullivan, Bluebell Falls; Ailish Ryan, Mockness. 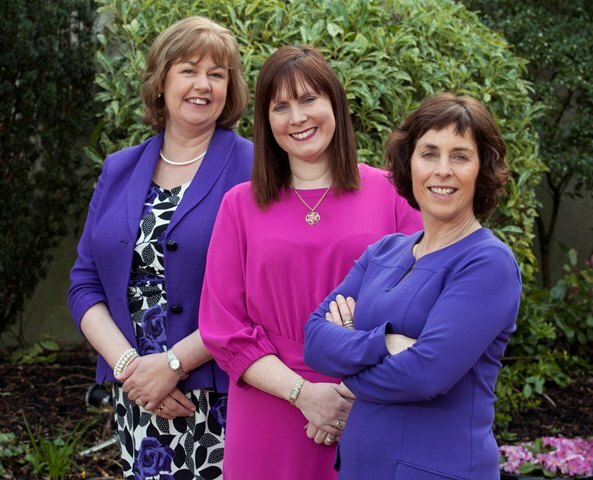 Front Left to right: Marie Looby, PereGreen Energy; Fidelma McGuirk, Lead Entrepreneur; Heidi Higgins. The second cycle of the ACORNS programme was brought to a successful conclusion at a two-day residential forum on 3-4 April 2017. Over 100 female entrepreneurs have taken part in ACORNS to date, and past participants testify to the difference this programme has made both to themselves and to their businesses. 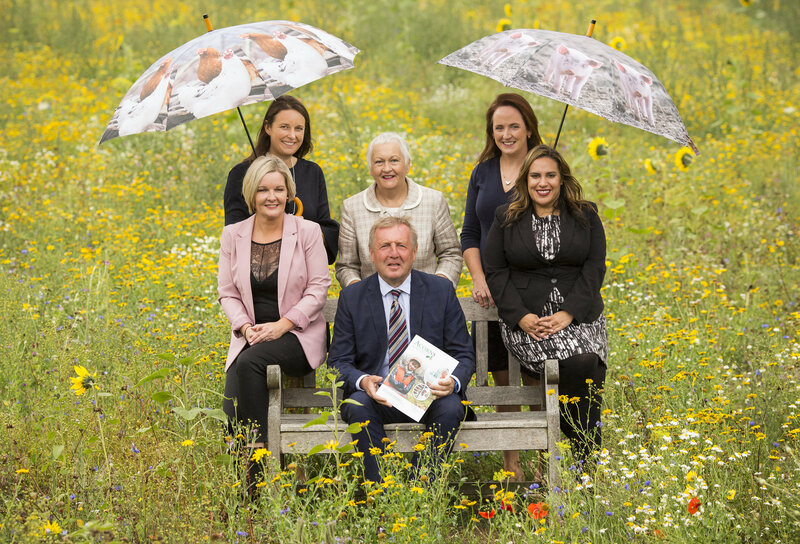 Left to right: Aveline O’Sullivan, Bloom in a Box; Brigid Riley, Fernwood; Trín O’Brien, Wellnice Pops; Andrew Doyle TD, Minister of State for Food, Forestry and Horticulture; Maria Brosnan, Bake it Easy; Maura Sheehy, Maura’s Cottage Flowers. The 9th cycle of Going for Growth got underway on Friday 17 February 2017, when it was launched by Mary Mitchell O’Connor TD, Minister for Jobs, Enterprise and Innovation. 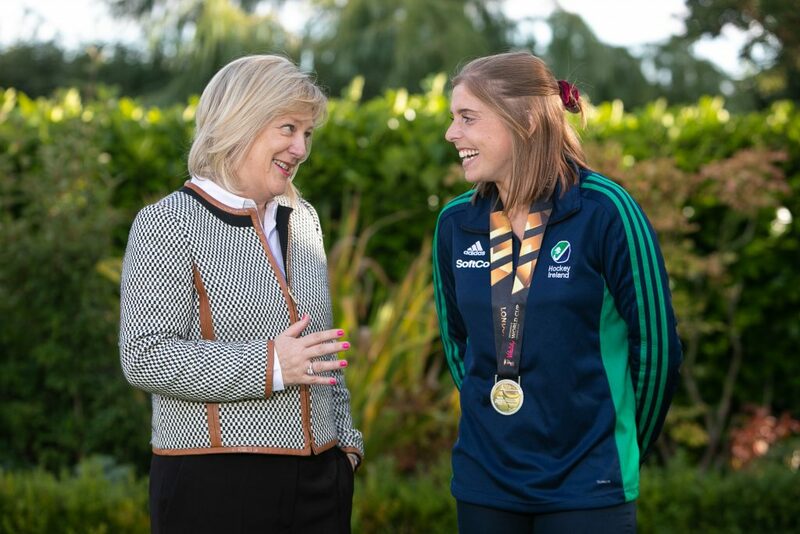 The award winning programme is sponsored by Enterprise Ireland and KPMG, and will support 80 female entrepreneurs to grow their businesses over the next six months. These participants are drawn from right across the country, and with the support of Going for Growth aim to significantly increase their turnover and grow employment over the coming years. 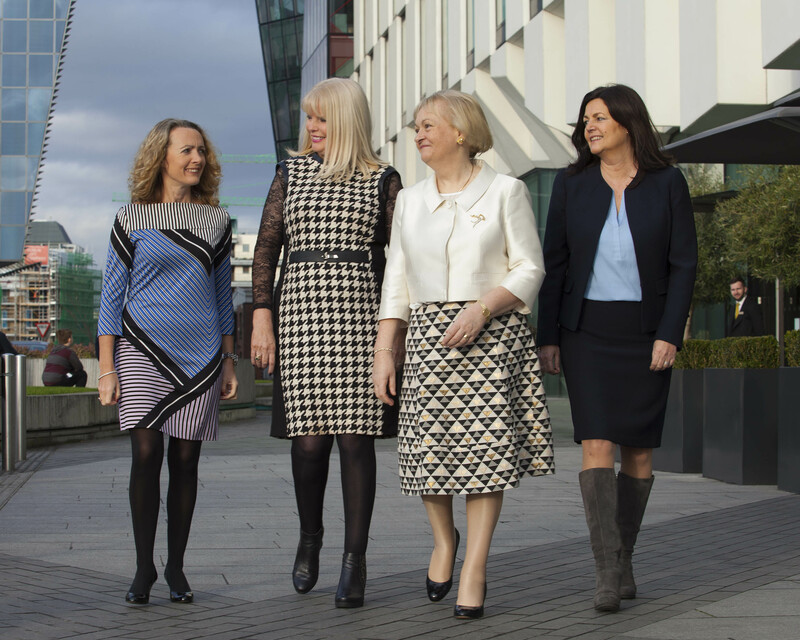 Left to right: Olivia Lynch, KPMG (Going for Growth sponsor), Mary Mitchell O’Connor, TD, Minister for Jobs, Enterprise and Innovation, Paula Fitzsimons, Director, Going for Growth, Orla Battersby, Enterprise Ireland (Going for Growth sponsor). 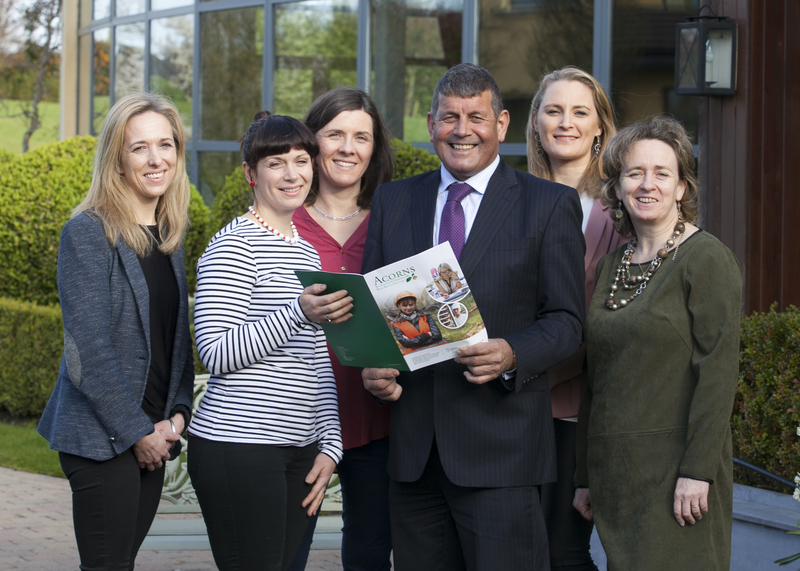 Following the highly successful pilot phase of the ACORNS Programme, phase 2 got underway on 10-11 October 2016 at a residential forum at the Mullingar Park Hotel. 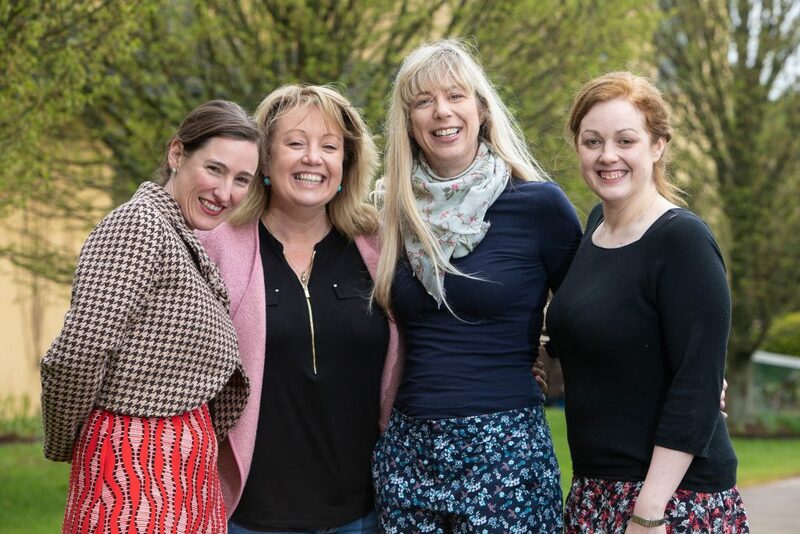 ACORNS is specifically designed for early stage female entrepreneurs living in rural Ireland who wish to start and develop new businesses. The initiative has been developed by Fitzsimons Consulting and is funded by the Department of Agriculture, Food and the Marine under the Rural Innovation and Development Fund, and there is no charge for successful applicants. Left to right: Alison Ritchie, Polar Ice, Michael Creed TD, Minister for Agriculture, Food and the Marine, Geraldine Byrne, Mediskin and Paula Fitzsimons, ACORNS. 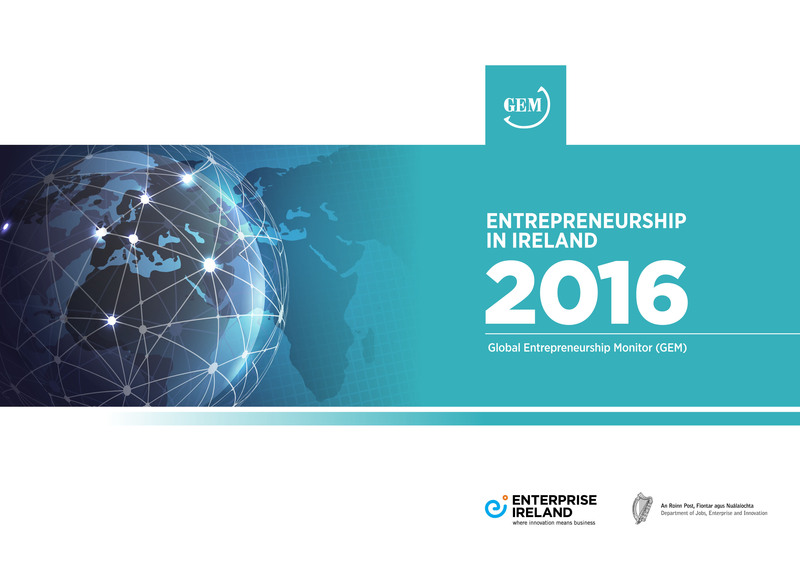 The Global Entrepreneurship Monitor (GEM) Report for Ireland 2016 has been launched. Enterprise Ireland, supported by the Department of Jobs, Enterprise and Innovation, sponsored the publication, which was authored by Paula Fitzsimons of Fitzsimons Consulting and Dr Colm O’Gorman Professor of Entrepreneurship, DCU Business School. The Global Entrepreneurship Monitor (GEM) Report for Ireland 2015 has been launched. 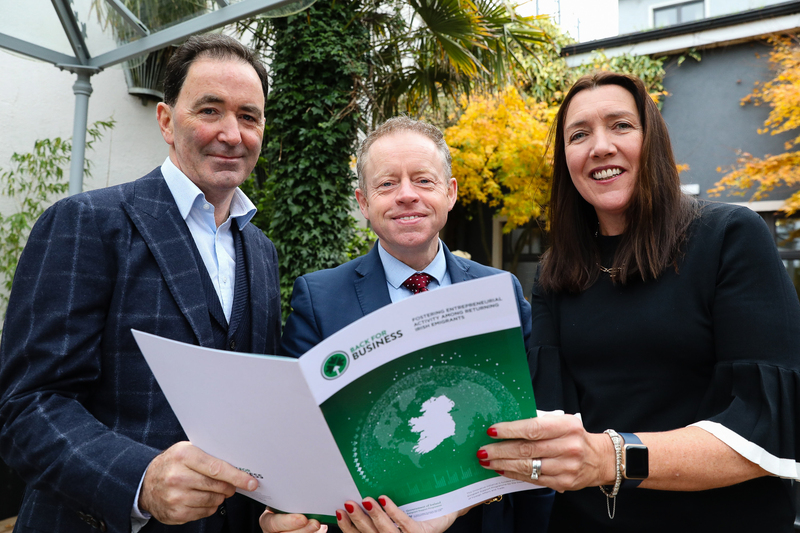 Enterprise Ireland, supported by the Department of Jobs, Enterprise and Innovation, sponsored the publication, which was authored by Paula Fitzsimons of Fitzsimons Consulting and Dr Colm O’Gorman Professor of Entrepreneurship, DCU Business School. As part of their joint work on inclusive entrepreneurship, the OECD and European Commission have published Inclusive Business Creation – Good Practice Compendium. The report features 20 programmes from across Europe that support business creation by people from under-represented groups, including women. Going for Growth is featured from Ireland. Click here to read. 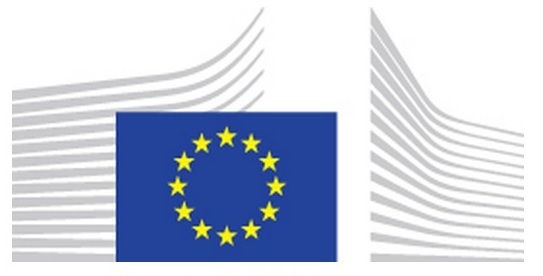 On Friday 6th May, Going for Growth was featured on the European Commission blog in connection with the winning of the European Enterprise Promotion Award last November. The pilot of the ACORNS programme has now been completed. The final event was a residential Forum held on the 4th/5th April 2016 in Portlaoise. Participants who successful completed the programme were presented with certificates by Ann Derwin, Assistant Secretary in the Department of Agriculture, Food and the Marine. 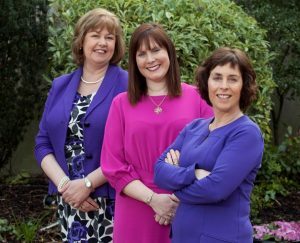 ACORNS Lead Entrepreneurs, Anne Reilly (Paycheck Plus), Caroline McEnery (The HR Suite) and Anne Cusack (Critical Healthcare) pictured at the Residential Forum, April 2016. 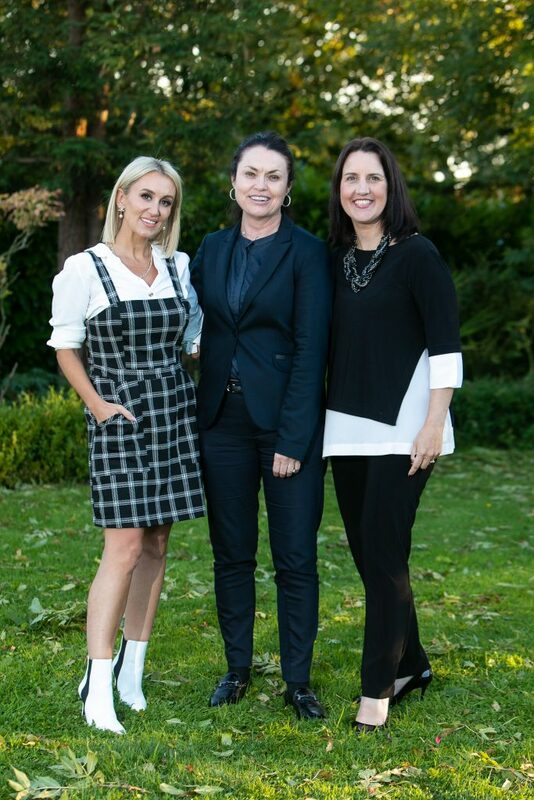 Paula Fitzsimons, Director, Going for Growth features with Volunteer Lead Entrepreneur, Caroline Keeling, of Keelings Fruit and Participant, Isolde Johnson of the Cool Bean Company. On Thursday 21st January 2016, Richard Bruton TD, Minister for Jobs, Enterprise and Innovation launched a new cycle of the Going for Growth Initiative at the Marker Hotel, Dublin. 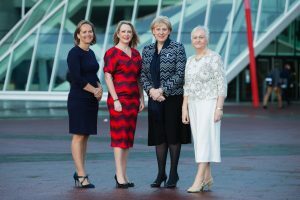 Sponsored by Enterprise Ireland and KPMG, the award winning programme will support 95 female entrepreneurs to grow their businesses over the next six months. 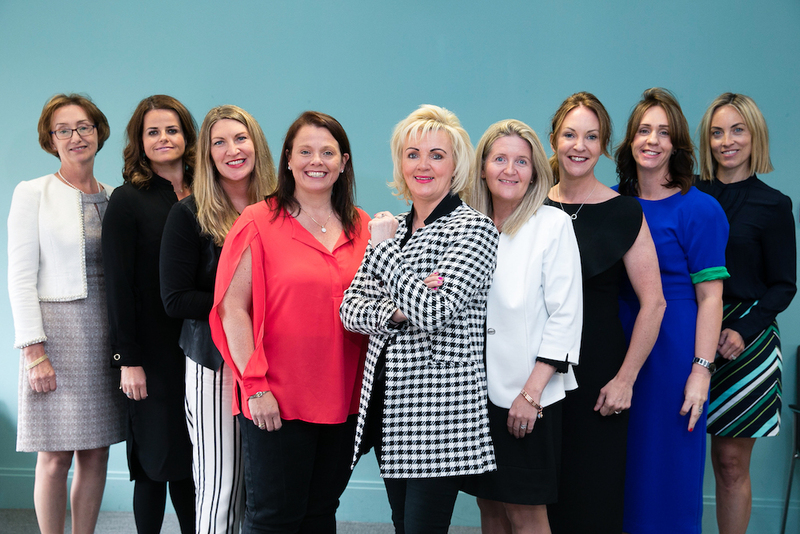 Drawn from across Ireland, between them these ambitious women entrepreneurs already have annual sales of €58 Million, 1,060 employees and 43% are currently exporting. The participants aim to significantly increase their turnover and expect to make considerable additional economic impact in terms of jobs creation and export sales over the next few years. Going for Growth was announced as the winner of the Investing In Entrepreneurial Skills category at the European Enterprise Promotion Award 2015. The awards took place in Luxembourg on the 19th November 2015. 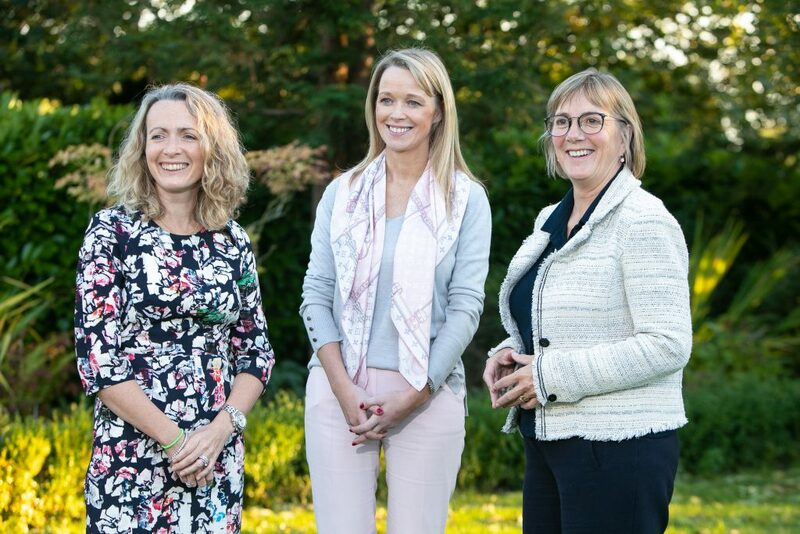 ACORNS is focused on unleashing the potential of female entrepreneurs living in rural Ireland who have recently started a business or who have taken concrete steps towards setting up a business. As the programme was fully funded under the CEDRA 2015 Rural Innovation and Development Fund through the Department of Agriculture, Food and the Marine, there was no charge for the 48 successful participants. ACORNS began on the 30th September, at a residential Development Forum in Portlaoise, Co. Laois. 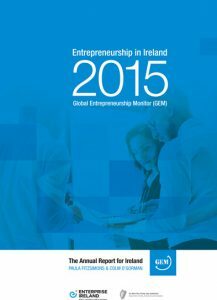 The Global Entrepreneurship Monitor (GEM) Report for Ireland 2014 was launched by Minister for Jobs, Enterprise and Innovation, Richard Bruton TD on Wednesday, 2nd of September 2015. 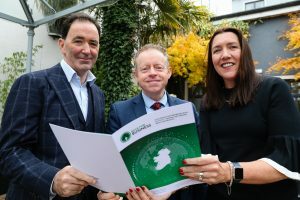 Enterprise Ireland, supported by the Department of Jobs, Enterprise and Innovation, sponsored the publication of the GEM report for Ireland 2014, which was authored by Paula Fitzsimons of Fitzsimons Consulting and Dr Colm O’Gorman Professor of Entrepreneurship, DCU Business School. The 2015 Starting Strong programme was successfully completed on the 8th July with a Celebratory Event in the Conrad Hotel, Dublin. The event recognised the significant progress made by the 21 Starting Strong participants who completed the cycle. Click here for more. 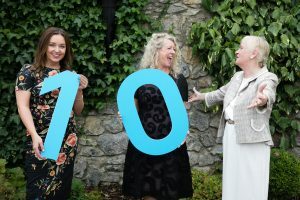 From left to right: Jennie McGinn (Opsh), Ollwyn Moran (Creeper Crawlers), Elaine Lavery (Improper Butter), Paula Fitzsimons (Director, Going for Growth), Melissa Curry (Melissa Curry Jewellery) and Bernice Moran (The Be Sweet Company). In June 2015, Paula spoke on the value of networking to a group of overseas Managers from Bord Bia in Dublin. 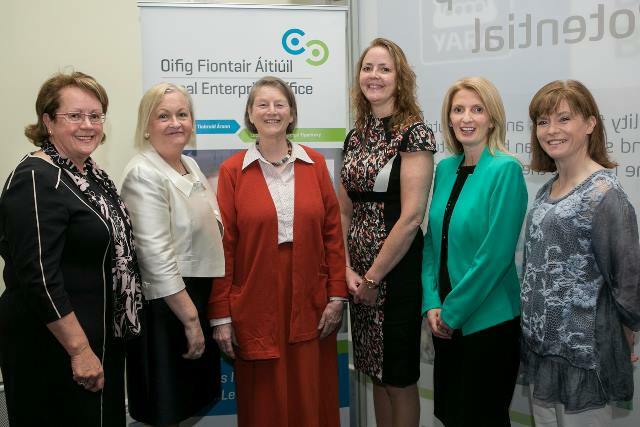 Paula Fitzsimons presented on “How Entrepreneurial are Women in Ireland?” at the Forum on Female Entrepreneurship, in Thurles on Wed 22nd April 2015. The event was organised by the Tipperary Local Enterprise Office. Click here for more. 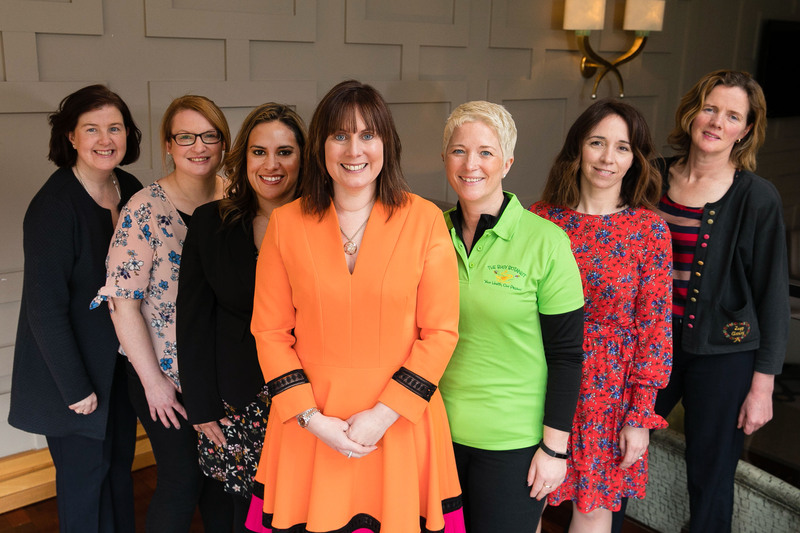 From left to right: Rachel Doyle (Arboretum Home & Garden Heaven), Paula Fitzsimons (Going for Growth), Veronica Molloy (Crossogue Preserves), Majella Ryan (Ivowen Limited), Jean O’Sullivan (Enterprise Ireland) and Sinead Carr (Tipperary County Council).